Home builders can learn a lot from two recent events that shook up the nation and the world: Brexit and the historic 2016 U.S. presidential election. Both proved the importance of listening to the voice of those you serve. And in both cases, stakeholders relied on flawed data sources, including exit polls and media reports, which they then used to reinforce their own prejudices and beliefs that everything was just fine. What does this have to do with home builders? Plenty. Many have the same pattern of depending on biased information to reinforce their belief that they, too, are just fine. This head-in-the-sand approach, even when it’s unintentional, results in failing to catch shortcomings before they become full-blown surprises. For home builders, a reliable Voice of the Customer (VOC) program and customer-centric strategies are keys to identifying and solving customer-satisfaction gaps—and avoiding your own version of Brexit. The customer-satisfaction gap is the void between the builder’s brand promise and how well the customer perceives the builder did in delivering on that promise. Studies show that builders who measure, acknowledge, and close their customer-satisfaction gaps have higher sales, better profits, and enjoy greater employee satisfaction. Here’s how they do it. The brand promise. This promise combines several factors. The main contributors that craft it are: the company website claims, such as “A Great Experience”; advertisements; and model homes. It also involves the salesperson, builder, or real estate agent, and their ability to accurately set customer expectations. If it’s true that nature abhors a vacuum, then it follows that when a home builder fails to set accurate expectations, customers will create their own. Those are unmeasurable and are a recipe for extreme dissatisfaction. Delivering on the brand promise. Here’s where it gets tricky. Just as with the election, the data the home builder receives must be objective and accurate. In the election, various interests had a pony in the race and published flawed polls or asked respondents improper/ineffective questions. Due to flawed approaches and vested interests, many respondents told pollsters what they thought they wanted to hear. The same is true for home builders who conduct their own customer-satisfaction surveys, closing surveys, or opt to meet their customer for the dreaded face-to-face home builder interview. Does the adage “buyers are liars” ring a bell? A customer will often default to conflict-avoidance mode and provide an automatic “just fine” review, just as they may when a waiter approaches the table at a restaurant. Falsely positive responses can reinforce a builder’s falsely positive view on how well it’s performing as a company. It doesn’t occur to the builder that the customer may not want to share their true feelings about their experience for fear of retribution during the remaining warranty service phase—kind of a “let’s not tick off the waiter or else he’ll spit in the soup” philosophy. The customer-satisfaction gap can be objectively measured by analyzing the difference between the perceived brand promise and the home builder’s real performance. While some customer-satisfaction firms may simply use the customer’s Willingness to Refer response as a proxy for satisfaction, more sophisticated customer-satisfaction outfits have tested algorithms that help identify the range of customer engagement, from Evangelically Supportive to Dangerously Disappointed, using only responses that are heavily correlated to future referral sales activity. More granular responses help to identify the root cause of customer dissatisfaction and its severity. This makes the VOC feedback more valid and actionable. It’s not uncommon for home builders to achieve a 90 to 95 percent Willingness to Refer, but still be producing stressed customers who, in reality, offer conditional referrals or don’t refer. A customer’s conditional referral goes something like, “You may consider ACE Builders, as long as you have time to regularly visit the jobsite to check the work.” Amazingly, we’ve observed many home builders that receive ratings of 90 to 95 percent Willingness to Refer, with customer enthusiasm/engagement ratings of less than 50 percent. These home builders are doing most things correctly, but the gaps in their customer-satisfaction experience stress or dull the customers’ experience to the point that while they may be willing to refer, they won’t do it with the gusto it takes to convince those being referred. Home builders that lose more than 40 percent of their customers’ enthusiasm have a difficult time achieving referral sales rates of more than 20 percent, while top-performing builders produce more than double that outcome at 35 percent to 45 percent referral sales. The cost of nonconformance caused by satisfaction gaps can be 20 to 25 percent of possible future sales. Identifying, acknowledging, and solving your customer-satisfaction gaps benefits home builders, homebuyers, and employee job satisfaction. We recommend that you use a legitimate third-party source to objectively measure and quantify your customer-satisfaction gaps. It would be a bonus to be able to benchmark your customer satisfaction alignment with other top-performing home builders for additional motivation and to more accurately identify your gap’s cost of nonconformance. After you define your brand promise and secure objective customer feedback, you have a stake in the ground to help you measure progress so that promise and performance align. There are three primary factors: Processes, People, and Management. Processes. Home builders invest huge amounts of time in detailed prints, scopes of work, purchase orders, and checklists to make sure everyone is in sync to build a home. But when it comes to building customer experience, far less effort is invested. Build the customer experience as you would a house: Engineer a reliable process (the experience plan), scopes of work (outlining individual responsibilities), and checklists (individual performance standards and measurement). It must be simple. All staff must understand and be able to teach the customer experience on how the home is to be built, in addition to “what” home is built. Salespeople should have a clear teaching tool. Without a well-taught, team-oriented plan, even the best employees can fail to set customer expectations. As W. Edwards Deming said, “A bad system will beat a good person every time”—and the same goes for a nonexistent system, too. People. All staff in a customer-centric organization must have three essential skills: communication, consistency, and a commitment to teamwork. A well-crafted VOC survey will provide the feedback managers need to recognize great performers, coach underperformers, or replace poor performers. Obviously, if the builder lacks a customer-experience or customer-communications plan, then managers lack the tools they need to teach the company experience to staff members. What would happen if there were no construction blueprints for the construction team and trades? Houses would be inconsistent and unpredictable. If real estate truly is about location, location, location, then customer satisfaction is about communication, communication, communication. Management. 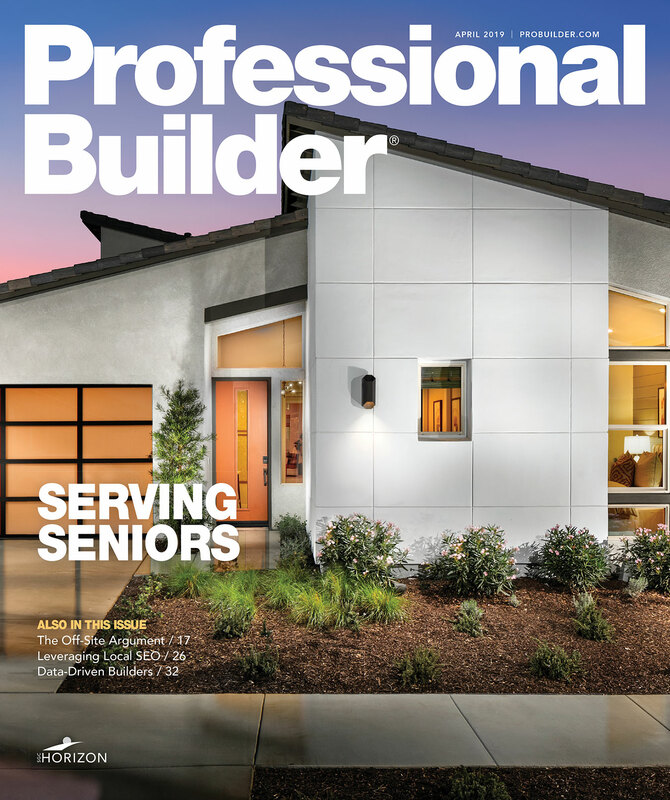 Home builders must have accurate, actionable, and accessible information to manage individual performances and the overall customer experience. I see countless home builders with sophisticated financial reports, spot-on scheduling software, and various operational dashboards that don’t include VOC metrics. They thoroughly review financial and schedule variances. The same should be done with customer dissatisfaction, as each customer-satisfaction variance represents a future loss of sales and profits that dwarfs most other cost variances. Without regular review and high visibility, the VOC can quickly become secondary or worse. Those senior leaders who own VOC feedback and integrate it into regular reviews, side by side with other financial metrics, have much smaller customer-satisfaction gaps and stronger financial performance. Bringing alignment to an organization is the primary responsibility of any leader. A by-product of closing the customer-satisfaction gap is organically generated teamwork—a great asset to any organization. Never give up: Great results are worth the effort (just ask the Chicago Cubs who won the World Series after 108 years). Everyone wants to be part of a winning team.